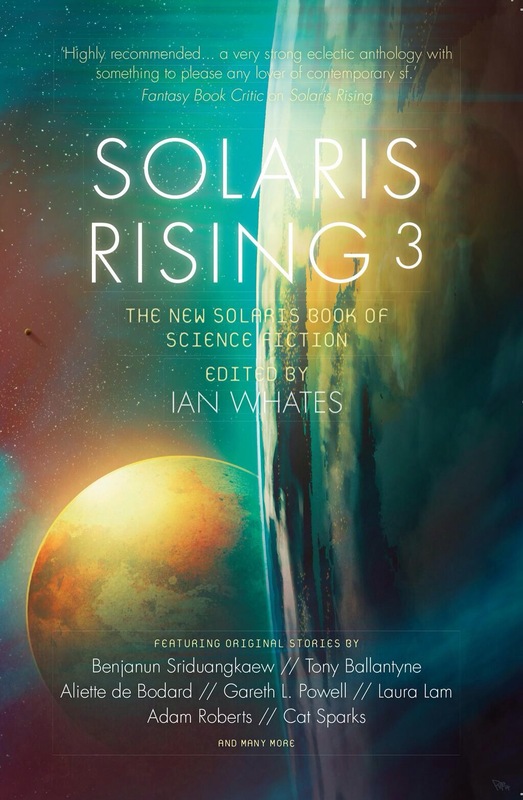 Edited by Ian Whates and now in it’s third (and a half) iteration, Solaris Rising 3 once again brings forth a veritable feast of short sci-fi stories from a number of great authors, some more well known than others. First up, I read Cat Sparks Dark Harvest after Mr Whates described it as military sci-fi with a difference. A slice of brutal life for grunts, stuck on an alien world, fighting things they don’t understand, Sparks captures the overlapping banter of soldiers perfectly. Hints and ideas are wonderfully woven to create a view of the world as the group of mercenaries encounter terrifying super-soldiers and the even weirder ‘nuns’. The transition in perspective from the human soldiers, eager to escape the planet and just as eager to destroy everything that moves, to the nuns is a sharp, revealing contrast. Sparks has seemingly delivered a brief glimpse into a fully fledged world that visually and conceptually offers up a lot. Benjanun Sriduangkaew’s When We Harvested The Nacre-Rice is a haunting, dream-like story touched by elegant prose and a melodious rhythm. As two worlds engage in a conflict using only cyber attacks against the augmented senses of their respective enemies, turning days into chaotic storms of illogical madness, the protagonist of the story, Pahayal saves a stranger from drowning. In turns, that stranger’s true purpose and nature is revealed. The mental warfare escalates to physical aggression and the true cost of the conflict is uncovered. Sriduangkaew’s worlds are wonderfully evolved re-imaginings and the strained yet deeply personal relationship between Pahayal and the stranger is intriguing. Sensitively written and superbly creative, this is a great opening story for an anthology championing new voices in science fiction.